Scabbed knees scurry down a path saturated with yellow leaves.“Hurry up!” Sam shouts at her younger sister, exasperated by her slowness.She navigates the strewn branches swiftly, jumping over their jagged edges like a well-worn hopscotch. At the foot of the path she pauses, leaning her body, newly lanky, against the large rock shaped like a jelly bean. The grey bean, swathed in green moss, once served as the perfect table-top for tea parties, and Barbie’s BBQs, but now seats Sam and her friends as they practice their fishtail braids, crossing and re-crossing freshly highlighted hair, and discuss the day’s drama, most recently Becca’s foray with Ben H. behind portable #5.Sam waits until she can see the fraying bows on her sister’s pale pink sneakers, then continues deeper into the woods. As she runs, she stretches her flannelled arms out, and with pointed index fingers, grazes the passing pines, as though leaving a line to retrace. Grace removed her mud-caked riding boots, and dropped them to the floor. “Does it matter?” she replied, picking up the lace train, and heading towards the kitchen. Grace’s mom picked up her knitting needles and held them still, like a conductor about to cue her orchestra, opened her mouth, then closed it, and returned her attention to the infinity scarf she’d be mending in her lap. “It’s on the table,” she called to her daughter, whose wide eyes she knew were presently scanning the kitchen counters. Grace grabbed the neatly creased crossword, and made her way up the worn oak stairs and around the corner, to the room at the end of the hall, where the floral print paper had begun to peel. Closing her door, she grabbed the scalloped veil that hung past her shoulders, and like the wings of a moth, fluttered the soft tulle around her. Breathing a sigh of relief, Grace dropped into the window seat, and pressed her back into the splintered woodwork. She removed the HB pencil that had been holding her unruly hair in place, and unfolding the crossword on her lap, she exhaled deeply. Lately, Grace had been living for the crossword. She liked being presented with a puzzle, and knowing that a solution existed – regardless of how long it took her to find. She liked the way the tiny, black type attracted her eyes, the bold, black squares invited her pencil, and the way The Aurora Era turned her white wedding dress grey. Grace began with across, and felt her muscles unwind with each word she solved. Dragging a smug lead line through the last clue, she pressed the nub of the eraser to her forehead, leaned her head sideways against the cool frame, and gazed down at the farm below, freshly ploughed, with bales of hay forming a golden border, fifty acres from her feet. The mid-day sun cast Grace in a spotlight, and she lowered her green eyes to the gravel drive, spotting the dusty, red Dodge, with the PRO-LIFE, PRO-FAMILY, PRO-FAITH sticker on its bumper. A feeling of youthfulness flooded over her. Grace rose from the window seat, dropped her veil into the pillow’s indentation, a now receding memory of her presence, and darted out of her bedroom, down the stairs, and out the back door. “Daniel,” she called, brightness in her voice, as she approached the fence. “Gracie,” Daniel turned, wind chapped lips breaking into an easy smile at the sight of his younger sister, she all jewel tones and dimmed sparkle, her auburn hair catching the last ray of sun. “It’s been a month of this…” His smile waned as he bit his lip, and moved his eyes downward, to the bottom of her dress, where the fresh manure bruised the white lace brown. “I’m fine,” Grace breathed, looking back towards the truck. “Where’s Emily?” Grace looked for Daniel’s contented wife, but could not spot her. “She’s with Oliver. She was pickling our latest crop of cucumbers when the day care called – he’s come down with a bug. She’s at the clinic…” The blackberry in his belt buzzed, and his words, like her thoughts of late, trailed off, as he removed it from the sturdy clip on his leather belt, and peered into its scratched screen. “That’s Em now,” he said, eyes transfixed, calloused thumbs crafting a response. Grace could feel the complexity of their lives in the intricate knot forming in her stomach, and the monotony of their marriage threatened to suffocate her. “Can I help you?” Grace asked, looking at the hand saw at Daniel’s feet, hoping to change the course of conversation. Daniel looked at his sister, wrapping her navy silk sash round and round her forefinger. Grace watched Daniel walk towards the house, his burgundy flannel billowing in the wind. Seeing Daniel disappear inside, she strolled to the cedar rail fence, undid her sash, tied the satin around the steel, and opened the gate, releasing their six cows to graze in the pasture. Leaving the gate unlatched, she strolled to the red doors, below “Liberty Farms”, spelled out in large white letters. Grace entered the barn, and looked up at the long boards, her eyes having fallen habitually on the three cracks that let the sunlight in. “Bonjour, mes amies,” she said to the chickens, who had scurried to the edges of their enclosure to greet her. She grabbed the dented bucket of feed lying patiently next to the door, and sprinkled the seeds high above the chickens, as if they were brides and grooms. She hadn’t made it to that part of the day – couldn’t have imagined rice raining down on her, when she felt as though she were already drowning. Holding the bucket of feed in both hands, like a bouquet, she walked over to the paddock: Right foot, together. Left foot, together. The walk down the aisle she had endured. Although in a new chambray suit that Mom had selected from Moore’s, she envisioned her Dad in his faded coveralls, and black rubber boots, and herself as one of his cattle, being led with a delusive gentleness to her slaughter. With each step towards Adam, she was taking a step away, from her independence, her identity. The priest to her left, Adam before her, and her audience to her right, she tried to focus on her groom’s face – on the scar below his left brow, the one he’d received when he’d tried to sell her on the city – when they’d biked along the Queen’s Quay, and a fallen birch branch caused him to lose balance – but images of caged chicks and penned piglets pervaded her mind. She had dropped her slim bouquet of sunflowers, once so full of life, now uprooted, and wilting before her eyes. She tucked a rogue strand of hair behind her ear, and calmly turned and strode back down the long, white aisle, bound by blue chairs. Once she was past the bewildered guests and into the cornfield, she began to run. The husks pulled at her hair, and the stalks scratched at her skin, but this was a maze she knew her way through. She made a sharp left, and then a quick right, and she was soon on the shadowed path that led directly out of the maze; the one her father had carved for the panicked or beleaguered urbanites, drunk on country air. The sound of her chipped nails scratching the bottom of the now empty tin bucket pulled her back into the barn. “Shh…” she whispered to the chicks, realizing she had fed them both their lunch and dinner. Crouching, Grace placed the pail by the pen, and noticed a rusty nail jutting from the coop. She fingered it thoughtfully, contemplating the time it had taken for the shiny steel to corrode. Her right hand reached for her left, and with a simple twist and pull, she removed her solitaire ring, and placed it on the nail’s head. Standing up, Grace made her way across the plank floors, away from her diamond, and towards her eternal gem, feeling her heart enliven. “My love,” she said, unlatching Ruby’s stall. The white Arabian threw back its ears and whinnied a greeting. She made her way towards him, her body lightening with each step. “I’ve missed you,” Grace cooed, stroking Ruby’s coarse mane. The horse nuzzled her palm sweetly, and Grace sighed in contentment. “I’m yours,” she said, and began her methodical grooming process. Grace herself had been methodically groomed that weighted morning. She and her three bridesmaids had gathered in her guestroom, formerly her art studio, now unrecognizable, after the engagement had touched down on their farm. Linen napkins, dish towels, and dessert plates were stacked on her oil canvases, shrouding her ambition, and freshly pressed dresses hung from the curtain rod, blocking all natural light. Much like Ruby, she had been readied for show: Her long hair curled, her Mac makeup applied, and her nails, bitten down to the quick, polished. Grace grabbed a curry comb and began to rub Ruby down in smooth, sweeping motions. Ruby’s muscles quivered, delighted at the soft touch. Systematically she lifted each of Ruby’s hoofs and delicately removed the dirt and debris. Finally, she took the mane comb and removed the tangles, leaving her hair with a satiny sheen. From its hook, Grace grabbed the black, leather saddle, and cinched it around Ruby’s waist. Stepping back, she reached her right arm behind her and pinched the top of her dress. She twisted her left arm back, and unzipped the zipper, letting it cascade, like a feather, fallen, to the black earth below. Stepping over her lifeless gown, Grace placed one boot into the stirrup and hoisted herself onto Ruby’s back. Grabbing the reins, she gently prodded Ruby on both sides, and eased her towards the barn door. She could feel the friendly wind on her face, and Ruby’s powerful muscles between her thighs. 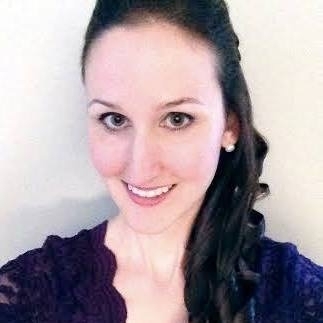 Meghan Ferrari lives in Newmarket, ON, and studied English Language and Literature at Queen’s University. She completed her Masters in Social Justice Education at The University of Toronto, and presently shares her passion for creative writing with her students, as an English Teacher for the York Catholic District School Board. Meghan Ferrari grew up in Caledon, ON, and studied English Language and Literature at Queen’s University. She completed her Masters in Education at The University of Toronto, and presently shares her passion for creative writing with her students, as an English Teacher for the York Catholic District School Board. She is currently working on a collection of poetry.